The STS-35 crew during emergency egress training at KSC in Florida during 1990. 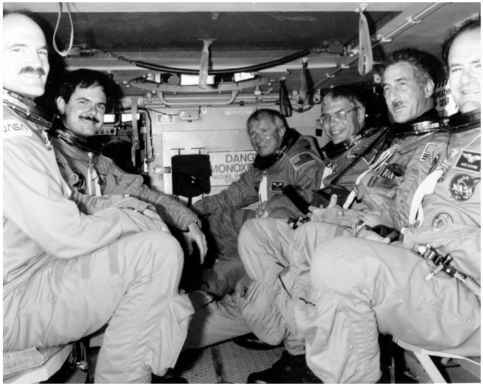 Left to right: Pilot Guy Gardner, PS Ron Parise, Sam Durrance (hidden from view at front of the M-113 rescue vehicle) Commander Vance Brand, MS Bob Parker, MS Jeff Hoffman and MS Mike Lounge. major telescopes aboard had its own payload specialist (only two flew each mission), Parker and Hoffman surmised that they might get three flights out of the series by staying with the payloads, utilising their experiences with the science team and the hardware. But with the loss of Challenger, extended delays to the second flight and the eventual cancellation of Astro-3 (in part due to the Shuttle-Mir programme), this would not occur. 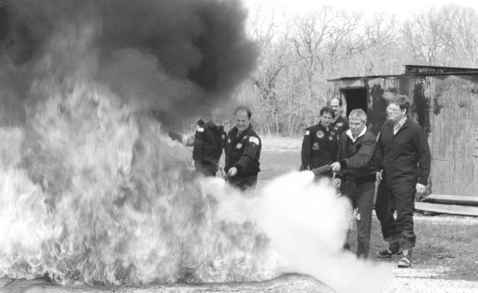 STS-35 astronaut Robert Parker uses fire-fighting equipment at the JSC Fire Pit as part of the emergency egress exercises all crews perform during Shuttle mission training. scopes allowed them to observe intended targets and secure a host of scientific data that would have been unobtainable had the crew been unable to control the telescope from the aft flight deck of the Shuttle. According to one post-flight release, the Hopkins UV instrument conducted over 100 observations of hot-stars, galactic nuclei and quasars; the UV Imaging Telescope collected over 900 images of supernovae, planetary nebulae, galaxies and clusters of galaxies; the Wisconsin UV Photo-Polar Meter experiment obtained data on over seventy objects including galactic clusters and supernova remnants; and the Broad Band X-Ray Telescope collected data on over seventy-five objects, including active galactic nuclei, quasars and accretion disks. 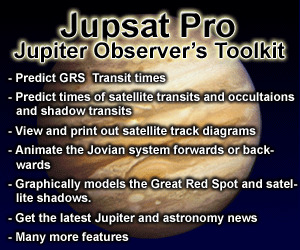 In all, 390 observations of 135 space objects were carried out by the crew, making Astro-1 a "highly productive mission'' and providing the impetus to support the flight of Astro-2, which finally occurred in March 1995.19 According to Parker's 2002 Oral History, the astronomer-astronaut believed, "We observed maybe a third of what we had intended to. Everybody put a good face on it, but it was a far cry from what it was supposed to be. 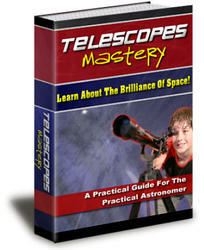 ''18 Without the presence of the human crew on board, the achievements would have been far less.